We're pretty sure this is how the prequel to The Thing started... And that did not end well for the humans (or dogs) involved. IFL Science reports that scientists studying the Antarctic Ice Sheet at the South Pole have discovered a "hotspot" that has caused a massive section of the sheet to sag. Published in Scientific Reports and lead by researchers with the British Antarctic Survey, the study used radar data to see deep below the surface of the ice sheet. The "geothermal flux anomaly" revealed by the data affects an area approximately 62 miles long and 32 miles wide which still appears to be melting, though the scientists say that losing Antartica in the near future is not a concern. 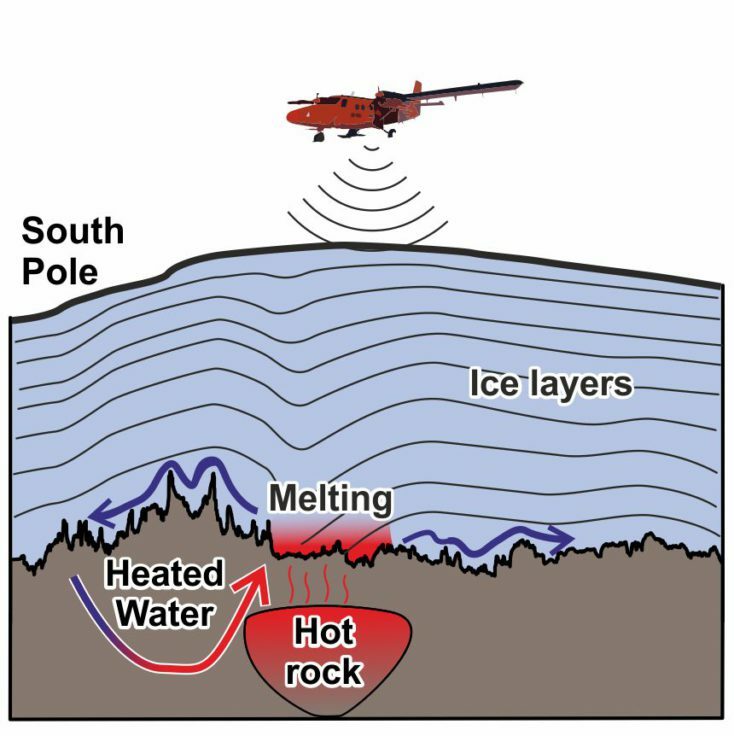 The cause of the melting is believed to be the combination of radioactive rocks and hot water that is coming from the bedrock deep beneath the ice. "This was a really exciting project, exploring one of the last totally un-surveyed regions on our planet," lead author Dr. Tom Jordan said in a statement. "Our results were quite unexpected, as many people thought this region of Antarctica was made of ancient and cold rocks, which had little impact on the ice sheet above. We show that even in the ancient continental interior, the underlying geology can have a significant impact on the ice." The hotspot has likely been there for thousands if not millions of years, and the scientists say that it is likely not the only one. "We conclude that local geothermal flux anomalies could be more widespread in East Antarctica," the authors wrote in the published study. "Assessing their influence on subglacial hydrology and ice sheet dynamics requires new detailed geophysical observations, especially in candidate areas for deep ice core drilling and at the onset of major ice streams." If it's not The Thing, maybe it's one of those deep sea portals that kaiju crawl out of? Perhaps, instead of a Space Force, we should get that Pacific Rim Jaeger program started... Just in case.